Claude James Bodle graduated in pharmacy from the University of Manitoba in 1916, but following a three-year stint in the army (Canadian Army Medical Corps, 11th Field Ambulance, Canadian Expeditionary Force), he eventually gravitated to a career as an x-ray technician. In the 1920s, there were no short courses in x-ray work, and few books, so Claude had to learn his new trade the hard way: from his employer, by experimentation, and later by travelling across Canada and the US to learn from other technicians and radiologists. His prolific involvement in professional associations began in 1920, when he attended a meeting in Chicago, organized by Dr. Ed Jerman (where the American Society of X-Ray Technicians was formed). Later that same decade, he was elected President of the ASXT, and went on to found the Western Society of Radiographers (later the MAMRT) in 1929. Mr. Bodle was instrumental in the founding of the Dominion Society, first as member of the body organizing the society and, after incorporation, as its first elected president. Claude had a great sense of humour, which he gladly shared at meetings and especially during the many long train trips of the earlier years to eastern and western Canada. His hobby was artwork, which he studied late in life. His contributions were recognized by the CAMRT over the years with the honour of the Welch Memorial Lecturer and, later, Life Membership. Mary Cameron was a powerhouse of the early Canadian Society of Radiological Technicians. Born and educated in Canada, Mary was the granddaughter of Canada’s third Prime Minister, Sir John Abbott. Her early training in x-ray began as she shared in her husband, Dr. Keith W. Cameron’s profession, and through a period spent in San Antonio, Texas. On her return to Canada she became chief technician at the McGregor Clinic in Hamilton. It was in 1935, at one of the first meetings of the new Ontario Society of X-Ray Technicians, that Mary Cameron began her illustrious volunteer career. 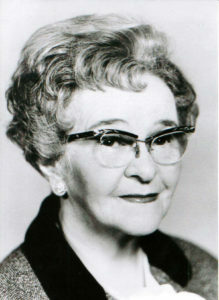 In 1937, she was elected secretary treasurer of the Ontario Society and was president. She was part of the organizing committee of the CSRT, beand followed a similar path, first Secretary-Treasurer at the time of incorporation; then Vice President in the first year; finally being voted following President of CSRT in 1945. 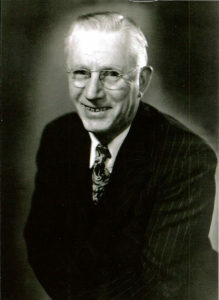 Felix George Reason was one of five, non-radiologist, charter members of the original association. Born in London, England, George Reason came to Canada in his late teens with work experience as a dark room technician. At the age of 17, he was doing darkroom work in the West London Hospital. His involvement in radiography continued during World War I, while serving as a Sergeant with the 4th Battalion. After the war, he found employment with the Christie Street Military Hospital, the Toronto General Hospital, and the Toronto Medical Arts Building. 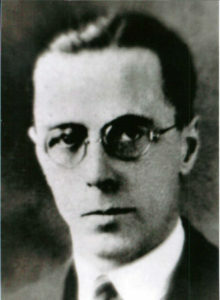 Mr. Reason was considered a born organizer, and for years the Ontario society’s convention plans and national meeting arrangements fell on his able shoulders. He was one of the prime organizers of the Ontario Society of X-Ray Technicians, and a president of that same organization at the time he was appointed to the committee tasked with organizing the Canadian society. After five years of arduous work, the CSRT was formed, and George was its first Chairman of the Board. Sadie Colbeck (née Storm) was highly involved in the early years of professional organization in Canada. She is one of a few members who could have claimed the honour of being a charter (original) member of both her provincial (Ontario) and national (CSRT) societies. Her commitment in the early years of the Ontario society meant long trips from her home in Welland to the meetings in Toronto, and it was said her enthusiasm caught the attention of a certain radiologist, Dr. W. K. Colbeck, whom she later went on to marry. 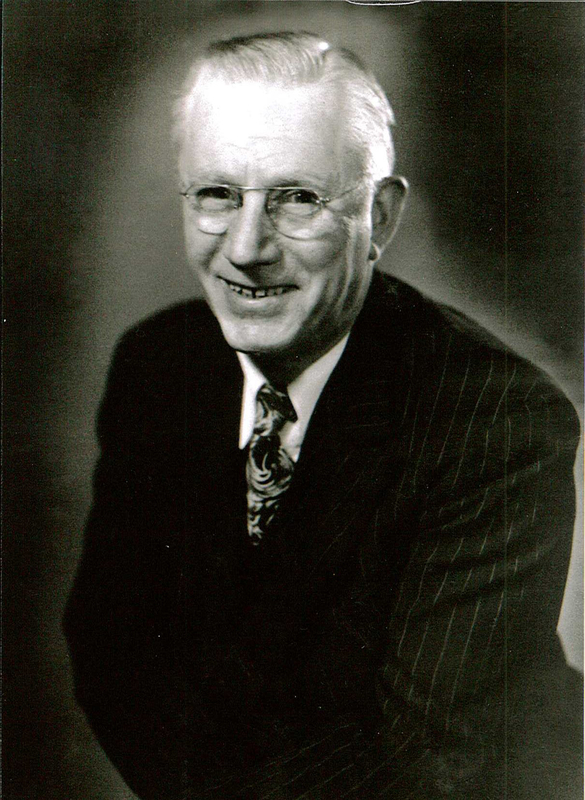 Dr. Colbeck was also one of seven charter members of the nascent CSRT.